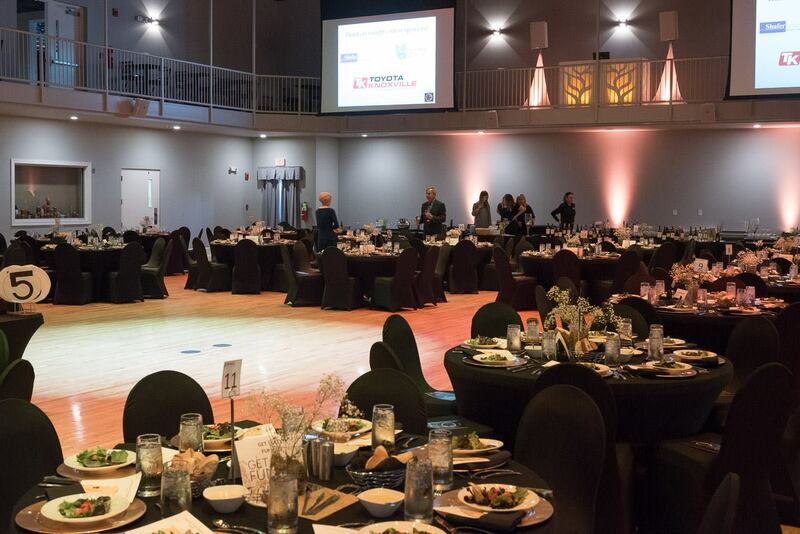 With the ability to seat up to 400 Banquet style, and gleaming hardwood floors, the Kingston is our largest and most versatile room. 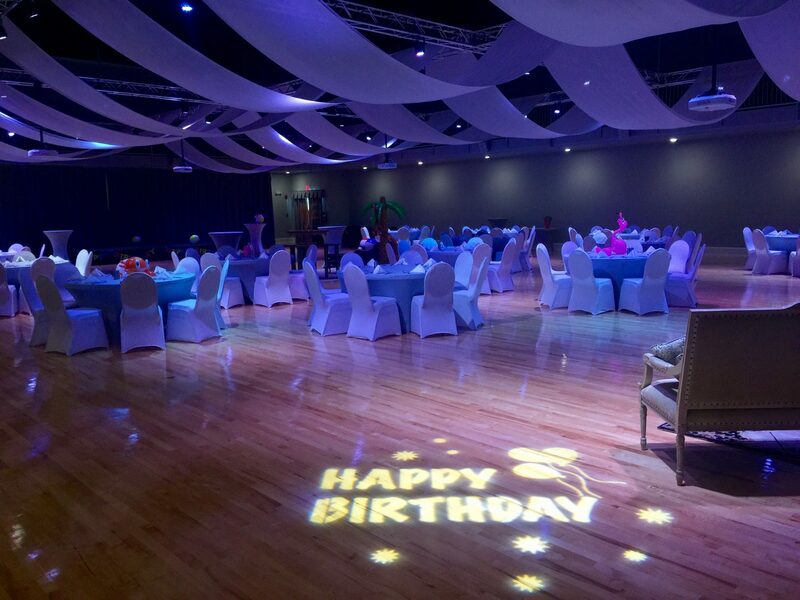 This gorgeous space is equipped with a state of the art, customizable lighting rig and 4 large projection screens. 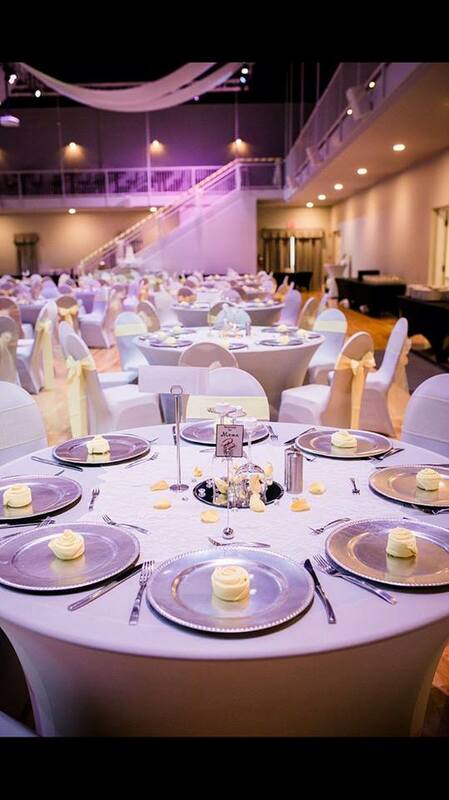 The balcony easily accommodates an additional 75 guests at marble topped tables. 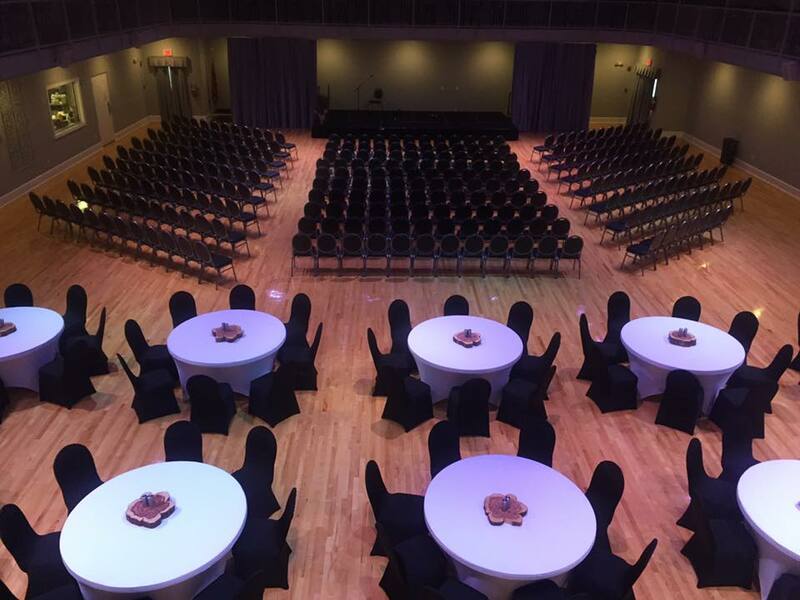 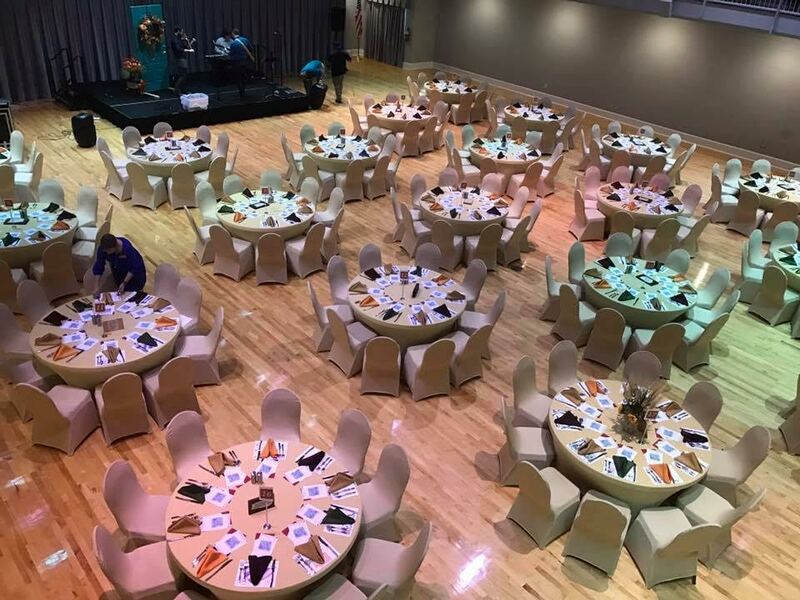 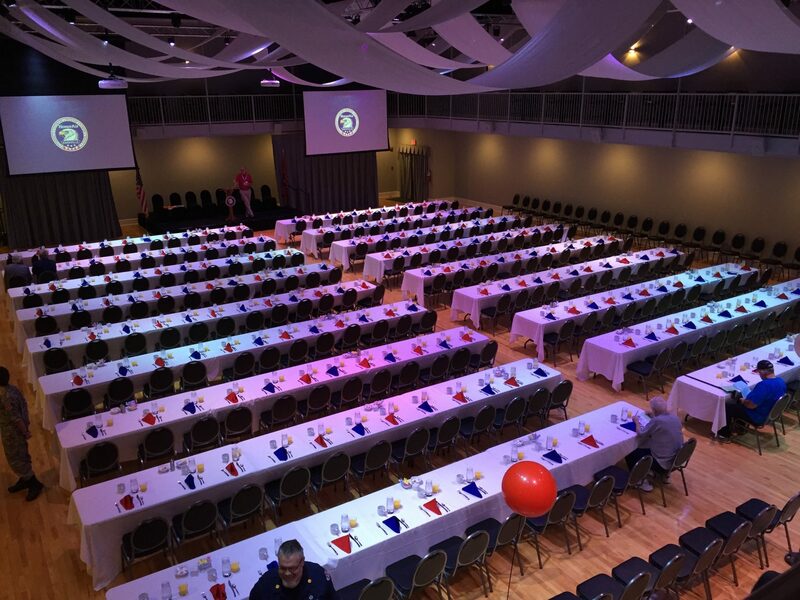 We already have a full stage as well as the tables, chairs, linens and accessories needed for most any event. 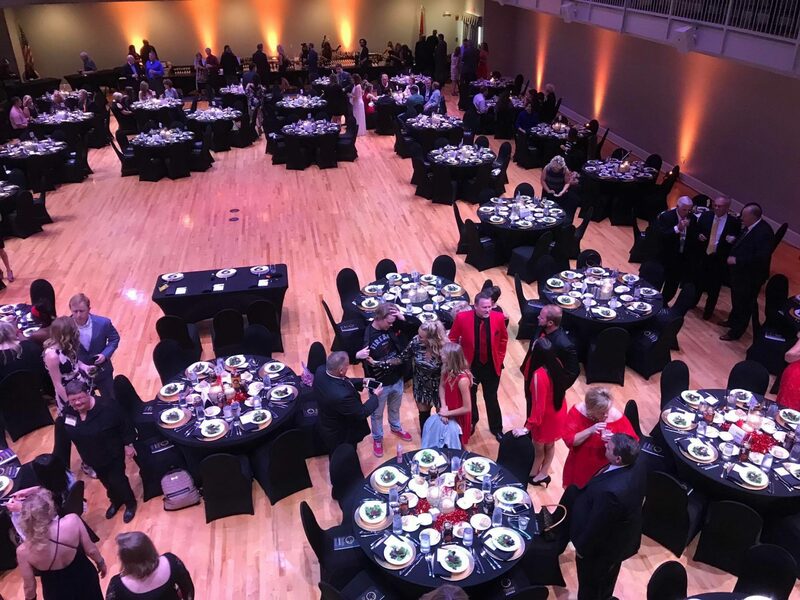 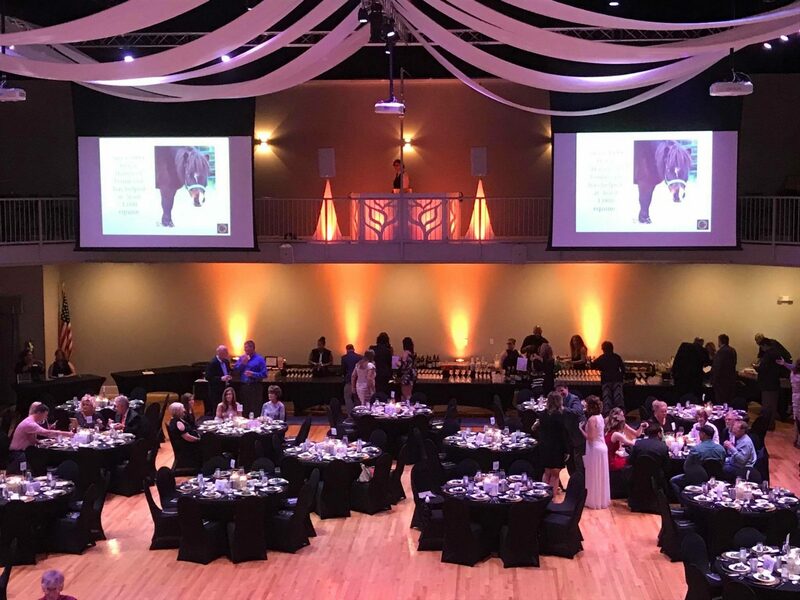 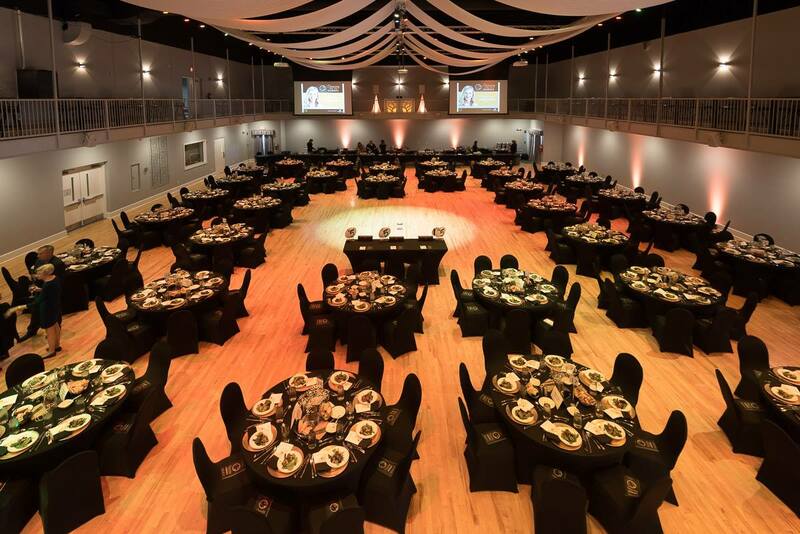 This space is frequently used for wedding receptions, awards banquets, proms and formals, concerts, fundraisers and trade shows. 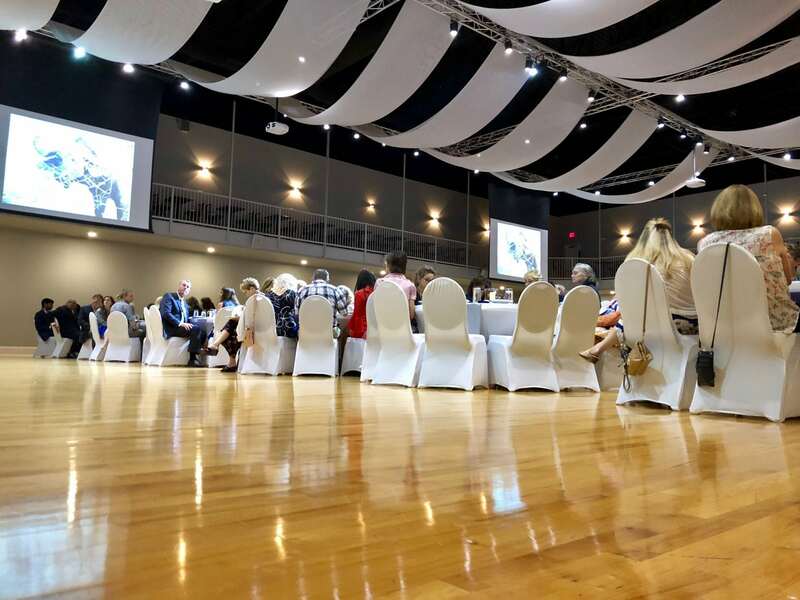 Rental of the Kingston includes a separate, covered entry way to keep your guests out of the weather as well as a tiled foyer area, which is the perfect place for a guest welcome or registration table.